Gor Mahia’s hopes of winning the league title took a slight dent when they were held to a goalless draw by Red Berets at the City Stadium on Sunday. Red Berets have proven to be a hard nut to crack of late having held Kogalo 1-1 in the first leg. On Sunday, Red Berets played a defensive game, parking the bus in front of goal and managed to absorb intense pressure from Gor Mahia particularly in the second half. The red Berets keeper pulled off spectacular saves from efforts by Blackberry and Kevin Omondi. Two first half goals enabled Kogalo to sink league debutants Posta Rangers 2-0 in a match played before a large crowd at the Nairobi city stadium. Les Camerounais Baldwin Ngwa scored found the back of the net for the 3rd succesive game when he finished off a move involving Blackberry, Ivan Anguyo and Makori after only 7 minutes. The forwardline combination of Blackberry and the hard working Ngwa has been as explosive as dyamite of late. The second goal came from a penalty converted by captain Julius Owino. The penalty resulted when Blackberry who has been a thorn in the flesh of opposing defences lately was fouled. In the second half the Kogalo defence marshalled by keeper Jerim Onyango stood firm to stave off a series of attacks from Posta Rangers. The win plus some convenient results from their rivals enabled Kogalo to continue its march up the league standings. They are now second, tied with Tusker on points. Gor Mahia won a crucial battle over the high flying soldiers of Ulinzi in midweek match played at the Nyayo national stadium on Wednesday night, beating them 2-0. Kogalo indeed appeared superior to the soldiers in all facets of the game especially in midfield where Kevin Omondi and Collins Okoth excelled, the former having gained a boost of confidence after having been promoted to the national team. Le Camerounais Baldwin Ngwa found the back of the net for the second succesive game giving Gor Mahia a much deserved lead early in the first half. Gor Mahia continued to press with Blackberry Odhiambo coming close on several occassions. But the score remained 1-0. Early in the second half, midfielder Collins Okoth was given his marching orders by a hasty referee Isaac Ochieng. Coach Zedekiah Otieno Zico was also sent off for protesting as irate fans let their frustrations at the referee be known. Some referees unfortunately like to bring attention to themselves. Gor Mahia were man down and without their coach but they never stopped pressing. They were eventually reward with a second goal via George Odhiambo “Blackberry” who evaded the entire Ulinzi defence to score an instant classic. Ulinzi tried to pull one back and came close but the defence marshalled by keeper Jerim Onyango amd Eric Masika stood firm. Its fair to say Kogalo are in a form the fans havent seen since 1997. They are now perched in 4th position, only four points behind the league leaders. The match was graced by Welsh and Liverpool legend Ian Rush who had to have been impressed by the show Kogalo put on. It must have been reminiscent of the great star studded Liverpool teams of the late 80s which Rush led. Despite all the controversy Gor Mahia have had to deal with, the lack of four key players who travelled with the national junior team to Eritrea, the lack of practice time for four other key players who travelled with the national team to Tanzania for an international friendly, despite the harsh treatment meted out by both KPL and FKL, Gor Mahia managed to pull off a tie against city rivals Mathare United. Mathare had taken the lead in the 16th minute as Kogalo defence seemed out of sorts in the first half. The second half saw the introduction of new national team cap Kevin Omondi. 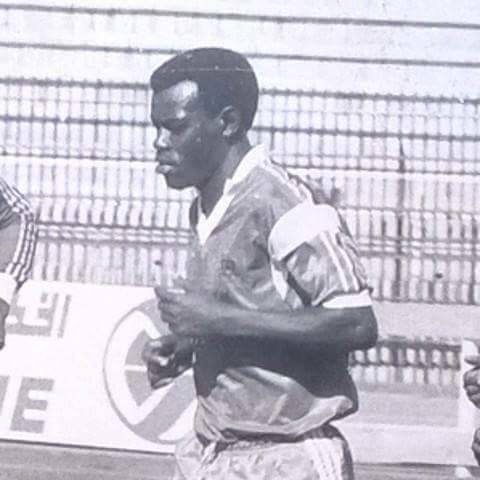 He played a role in the equalizing goal starting a move that included Collins Okoth and Duncan Makori and ended with Camerounais Baldwin Ngwa finishing with aplomb. Contrary to the earlier assumption that a team can apply for postponement of its premier league matches if it has more than one player in the National team, Gor Mahia will be forced to miss services of Anthony Akumu, Musa Mohamed, Duncan Owiti and Abdimalik Mohamed who will be doing duty for the country in Eritrea during the CECAFA junior championship kicking off on Saturday 14th in Asmara. According to the fixtures released today by KPL Secretariat, Mathare/Gor match which could have been played tomorrow, had Kenya not gone for an International friendly match in Tanzania, will now be played on Saturday 14th August at Nyayo National Stadium as from 3pm. Asked about the FIFA/KPL rule allowing clubs with more than one player in National team to apply, if they so wishes, for postponement of any match involving them, KPL CEO Jack Oguda responded that the rule does not apply to junior team. He further clarified that it was a mistake on their side to have accepted the application from Gor Mahia to postpone their matches against Western Stima and Ulinzi Stars due to involvement of junior team in African championship qualifier matches against Sudan in Khartoum and Nairobi respectively. Three Kogalo players, Kevin Omondi, George Odhiambo and Julius Owino have been named to the national team squad to face the Tanzania Taifa stars on Wednesday of next week. The was squad named by Twahir Muhiddin on Thursday. Of the three, Julius Owino has the most international experience having featured prominently in all of the World Cup qualifiers. Blackberry featured prominently in the CECAFA cup and in the CHAN qualifiers against Uganda. Kevin Omondi who was the star of last years national secondary school championships will be making his national team debut. Left out is Peter Opiyo who is said to be on trials in South Africa. Strikers: Dennis Oliech (Auxerre), Allan Wanga and John Baraza (Sofapaka). Kogalo earned a hard fought 1-0 win over Western Stima in a match played at the Bukhungu stadium in Katch. It was an evenly contested match with Western Stima proving to be a tough nut to crack at home in large part due to experienced ex internationals, Mark Sirengo and Ramadhan Balala. The all important goal came in the 64th minute via Andrew Ongwae when he headed home a corner kick taken by Julius Owino. This venue has always been a difficult one for Gor Mahia since the 60s and 70s when they played against MoW / Motcom. Matches here usually end in a hard fought draw. This time however, Kogalo benefited from a travelling band of fans coming from Nairobi, Kisumu and its environs. The win puts Gor Mahia back in 3rd position.